B & H Engineering, P.C. has provided rehabilitation design services, as a sub consultant, to the New York State Department of Transportation for widening of 22 bridges on Staten Island Expressway in Region 11. 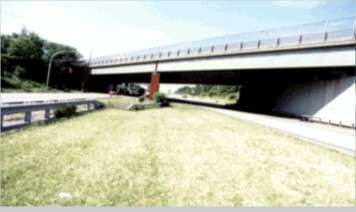 The design services consisted of providing field inspections to perform an in-depth inspection of all bridges, monitoring safety and work zone traffic control, coordination with NYCDOT agencies and other contractors during inspection, investigation on alternates for rehabilitation, rehabilitation design; and submission of preliminary and final plans. The following work was performed: extension of abutments at all locations and new wing walls, piles and footings, structural steel, concrete roadway deck and safety barriers, new lighting, drainage, expansion joints, approach slabs, pavement markings, and work zone traffic control.